Central Park, the sprawling green oasis in the center of Manhattan, is undeniably beautiful…and huge. Two and a half miles in length and packed with landscapes and attractions, there is simply too much to see in a single visit. 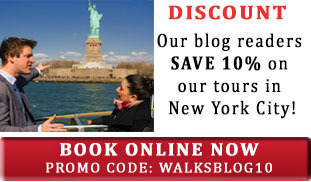 While most visitors enjoy the famous sites in Central Park’s south end, too few explore it’s northern half. Here are some of the remarkable (and far less-trafficked) highlights of north Central Park. The Reservoir – this huge water basin between 85th and 96th streets offers a sense of space, solitude and marvelous views. 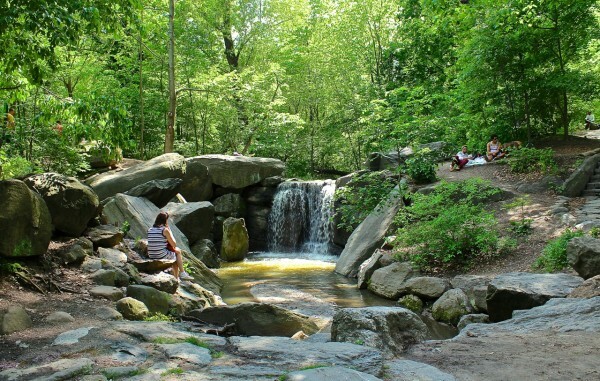 Completed in 1862 as part of the Croton Water System, its surrounding 1.58-mile track is popular for jogging and strolling (with celebrities as well. Sightings are relatively common). The vistas of surrounding park and skyline are particularly breathtaking from the Reservoir’s north shore. The adjacent bridal path is lined with flowering trees and near the north stone gatehouse is the cast-iron Bridge #28 (aka “Gothic Bridge”), featuring a curvaceous Gothic design. East Meadow – A rolling pastoral lawn just off Fifth Avenue between 97th and 102nd streets. It is a popular spot for picnics, sunbathing, games and events. The Pool – ringed by grassy banks and weeping willows, the Pool is a tranquil, scenic spot near West 101st & 102nd streets. To the east is the Pool’s Grotto and Glen Span Arch, a rustic stone arch leading to the North Woods. North Woods – Designed to resemble a wilderness in the Adirondacks, this 90-acre woodland is a refuge from the surrounding city. The woods feature walking trails, a stream, the Ravine with its soothing waterfall, the rustic Huddlestone Arch (built of boulders without the use of mortar) and a Blockhouse dating to 1814. Conservatory Garden – the park’s only formal garden, it is unquestionably one of its great treasures. The garden’s main entrance at Fifth Avenue and 105th street is through the ornate Vanderbilt Gate, which once adorned Cornelius Vanderbilt’s midtown mansion. The central section is an Italian garden with a great lawn, 12-ft high jet fountain, and wisteria pergola. 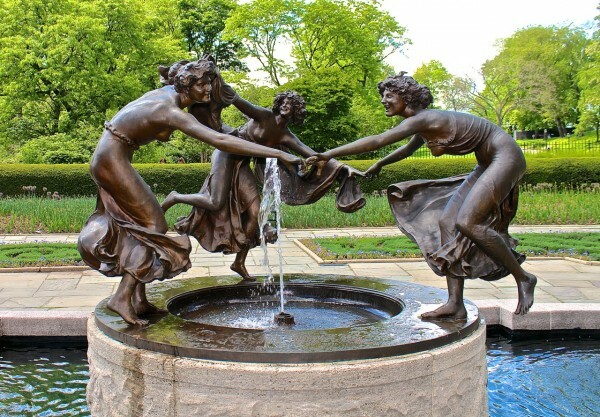 The northern French-style garden features concentric ring flowerbeds and the exuberant Three Dancing Maidens fountain at its center. 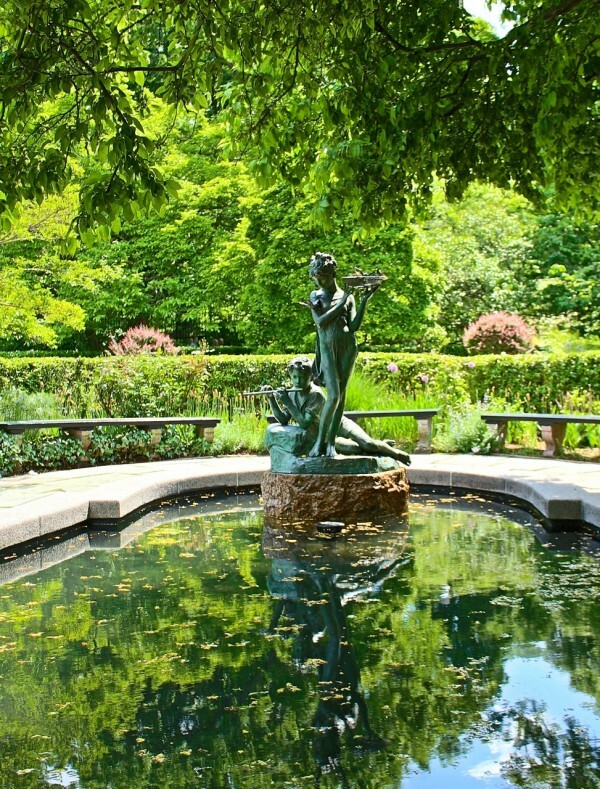 The southern English garden includes a pool with a lovely statue of two children inspired by the classic The Secret Garden. 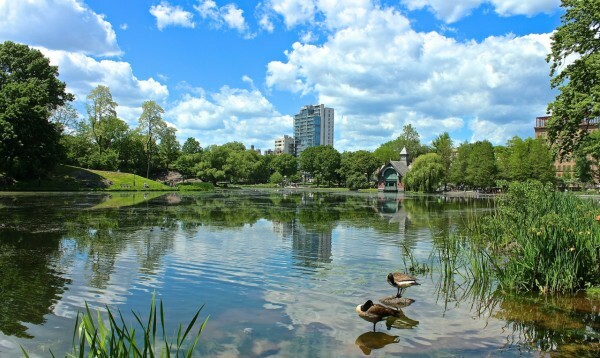 Harlem Meer – the meer (Dutch for “lake”) is in the park’s northeast corner. Meandering the path around the meer one encounters a small cove, aquatic plant life and water fowl, a tiny beach, and a viewing esplanade. On the north shore is the Charles A. Dana Discovery Center that offers park information, special exhibitions, restrooms, and rental of fishing poles for catch and release fishing. The meer hosts a summer concert series and holiday events, including the Halloween Parade and pumpkin sail. For more information about Central Park, a calendar of events, and an interactive map, see the park’s website. The Central Park Conservancy also offers a free mobile app which is great for navigating the park and learning about its landscapes, architecture and art. 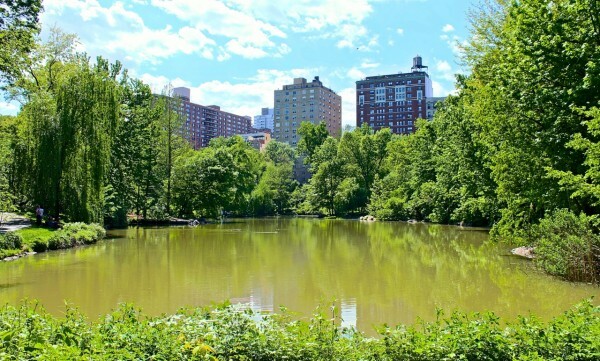 Have you explored Central Park’s northern delights? If so, what is our favorite location? Tell us in the comments below. I have been to the Conservatory gardens many times while visiting in NY. Love the beauty and design! Love Central Park’s north side because my sister has lived on the upper east side since 1980 so I have had the opportunity to view its beauty often while visiting alone or with friends.